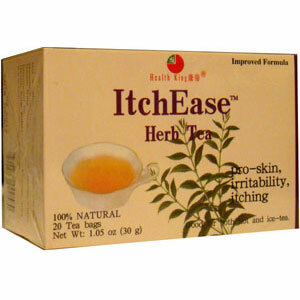 Based on a proven ancient formula ItchEase Herb Tea is made of high quality herbs. Chinese medicine uses their anti-pyretic, microbal inhibiting, tranquilizing, irritability relieving properties to maintain healthy skin. Anti-pyretic, microbal inhibiting, tranquilizing, irritability relieving properties to maintain healthy skin.